We all love a good escape so we’re right here daydreaming about Destinations in Paradise Three new Elite Locations for Jet-Setters in Hawaii, Cabo & Mendocino. Pierce Brosnan is a fan of these luxury resorts so if it’s ok with Bond it’s ok with us. Seriously if Pierce wants to take us away on one of these trips… we wouldn’t say no and after reading and looking at these pictures… Can you blame us? 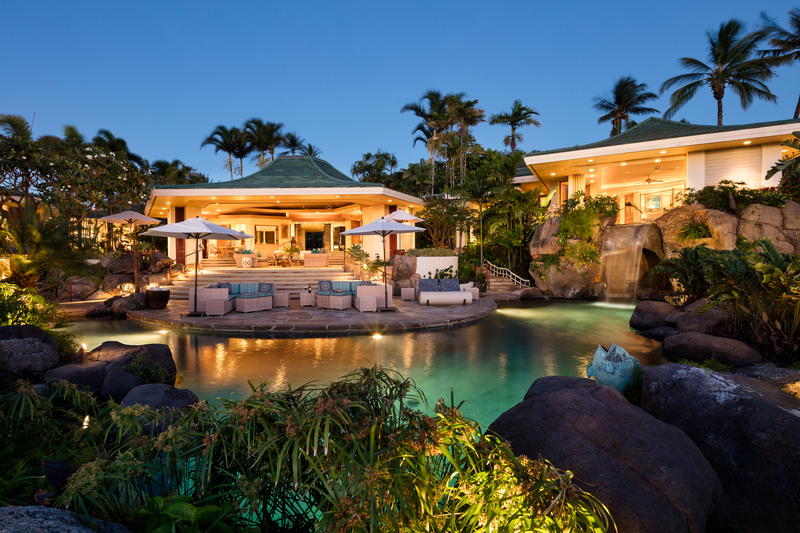 The stunning property of the Hawaiian Archipelago, located in Mauna Kea Coast just screams luxury. You’ll receive full access to the Mauna Kea Resort amenities including spa, gym, tennis, contemporary and local art collections, and PGA golf course. The expansive estate is composed of three pod-style pavilions under one roof and features five bedrooms, five bathrooms and two half bathrooms in the 5,358 square foot estate. Pristine and lush tropical flora, palms, heliconia and plumeria surround the landscape along with numerous water features peppered throughout. It certainly sounds absolutely divine. 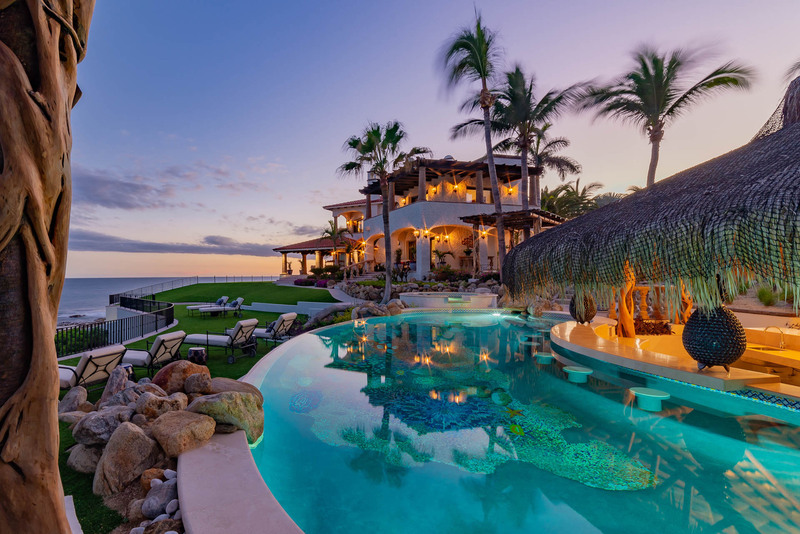 Casa Bellamar is an oceanfront property in Cabo San Lucas, Gulf of Mexico. This stunning villa offers absolute privacy, spacious natural surroundings, with access to colonial San Jose del Cabo just 15 minutes away. 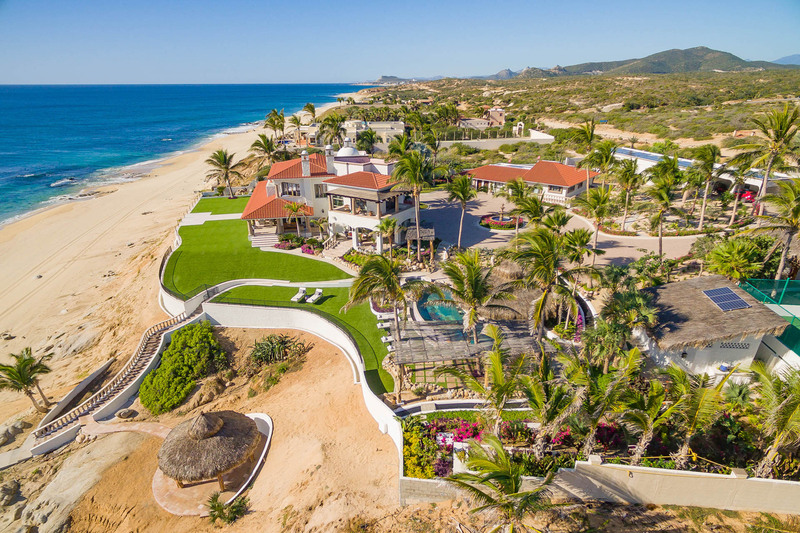 Casa Bellamar, Baja is a hidden gem with endless ocean blue views. The property features the main house and four separate guest casitas for a total of eight bedrooms, and fifteen bathrooms – sleeping eighteen in total. The 6,833 square meter property also features 60 meters of ocean frontage, a heated pool made from custom mosaic tile, a thatched roof palapa with swim-up pool bar, a solar-lit tennis court, new interior furnishings and accessories, and close proximity to contemporary and local art collections. Seriously can we escape this cold wet London weather and runaway to Cabo now? Sunset Cove is the final exquisite villa in the heart of Mendocino, California and is a contemporary, architectural masterpiece steeped in luxury. Mendocino’s thriving community, seaside villages and natural beauty offer ultimate tranquility with every modern-day convenience needed. It is an impressive 6,385 square feet and features four bedrooms, four bathrooms, an award-winning chef’s kitchen, media room, modern art gallery, wine cellar, and a separate guest wing. What do you think? Are you now daydreaming about visiting one of these luxury resorts as well?